Microbiologist Tobias Olofsson of Sweden’s Lund University is developing a probiotic mead that he believes will help fight off super-tough, drug-resistant infections. Eclipses are portals between the past and the future that show us simultaneously where we have been and the possibility of a new potential. A bit of levity to begin your day ensures you step into your day on a positive, higher vibration … and you get the idea that it reinforces development of self-awareness. What you most need to know today you will find within yourself. Answers will come to you if you can quiet your mind. Seek a quiet, solitary place and just listen to the voice that comes from deep inside you. Trust your Inner Wisdom. Spend time in Solitude and silence. Pay attention to your dreams. Trust your intuition. Notice synchronicity as you go through your days. Look for the answers you seek within yourself. Practice spending time in meditation so that you can hear your inner voice and tune in to your own rhythms. Aloha kakahiaka oukou. I lā āwaiwa Poʻalua. Mahalo Ke Akua no keia nani lā. O ka maluhia no me ‘oe. Good morning and a great Tuesday to you all! Thank God for th.is beautiful day! Peace be with you. High calcium foods are very necessary and important to maintain our health and only eating such foods ensure the appropriate amount of calcium in our body. Amish farmer Sam Girod is in jail, and his enemies want him there for life. I’m pretty sure you’ll be as OUTRAGED about all of this as I am, and PLEASE see the action links here for how you can easily HELP! Meditate on the quintessential query: Who are you? You may feel that you have an abundance of motherly energy and nowhere to put it. You might be tempted to make a commitment to a pet or even something more serious, but changes are just around the corner for you and this may not be a good time to commit to something so serious. Ask yourself what will happen if your circumstances change before you make any commitments. We urgently need fresh new thinking in order to address the scale and gravity of today’s global challenges, which have outgrown the present system’s ability to handle them. Aloha a me ka maikaʻi kākahiāka i ka poʻe a pau. Nā kou Pō’akahi e ho’omana’o i ka nani ‘oe i loko a me ka wah o. O ka maluhia no me ‘oe. Hello and good morning to everyone. Enjoy your Monday and remember you are beautiful inside and out. Peace be with you. Three reviews have confirmed the reef is still in deep trouble. Lacking clarity, or feeling dim? You might be having trouble shining. You may be afraid of attention, or of letting your true nature show. You may be uncomfortable with praise and compliments. You might be unable to shake off worry and doubt and have a good time. Try to get at the upright quality of this card by being in the present and being proud of the divine and unique self you are. Perhaps you are enjoying too much of a good thing? You may be helping others everywhere, but neglecting your own needs. Burnout is a big risk. Or, you might simply be feeling the consequences of too much sun, literally: sunburn, hangover, or an empty wallet. You are now reminded of the value of moderation. From a different angle, you may be in delusion, or being deceived, or getting half-truths from another. You could be deluding yourself by only seeing what you want to see. You could also be self-centered and acting as if the Sun revolves around you. Be sure to give credit where credit is due, and refrain from further showing off. Lastly, you might experience delays due to inclement weather, so come up with a backup plan in case of clouds and rain. Alōha kākahiaka kākou e hau’ōli aloha Lā’pule. E piha keīa lā mea ke aloha a me kā pono. Hōʻokuʻu ōla ʻole Lōkahi. Ō kā maluhia no me oe. Perform in multiples of 3: 3, 6, 9, 12, 27, etc. “Breath of Ha” – Life Force Mana – The Anatomy of the human body is comprised of five layers or coverings of the soul. These are layers of the body that vibrate at different electromagnetic energy frequencies, with the gross/physical layer carrying the smallest electrical charge and vibrating slowest. The layers gradually increase in size: the larger layers permeate the smaller ones, with the “bliss” layer carrying the largest (but most subtle) electrical charge of the highest vibration. The practice of lapa’au wisdom; Lokahi Breath of Ha Meditation and deep Breath of Ha Therapy involves all five layers of the individual’s soul. Observe and note that these layers of the soul are not the soul per se, but rather pertain to the eight energies and aspects of nature that spark life: the Five Elements (earth, air, fire, water, metal), mind, intellect and ego. The word “Ha,” also represents the number 8 (which is also the infinity symbol). Repattern brain waves to Theta frequency, thus opening your Third Eye and enlarging your clairsentient experiences. Development of awareness that these five layers of the soul must vibrate equally and act to bring the soul into balance whenever necessary to create Lokahi (Harmony) in daily life and be Pono (in balance within physical/emotional/spiritual selves). Thus, practicing Lokahi Breath of Ha meditations and Breath of Ha Therapy can be rewarding and bring peace into a person’s life. With sincere focus and practice of these meditations and breathing skills, the mind gradually becomes awakened, enlightened and keenly aware. Thus, being in harmony with the environment allows a person to be Pono, that is, to be centered, achieve balance, within oneself; to be filled with harmony, happiness, peace and feel at ease in any situation. With Mana’o (mind) and Pu’uwai (emotions) under peaceful balanced control by Na’au (body) and ‘Uhane (spirit), a person can learn to appreciate her Na Keiki (inner children) and thereby reach states of higher consciousness. Halau, ‘Aha Hui Lanakila™ teaches traditional, original knowledge Japanese Reiki known as Usui Teate (“Usui’s Healing Hands”). It is our mission to use for healing and to propagate original knowledge Reiki to Westerners. 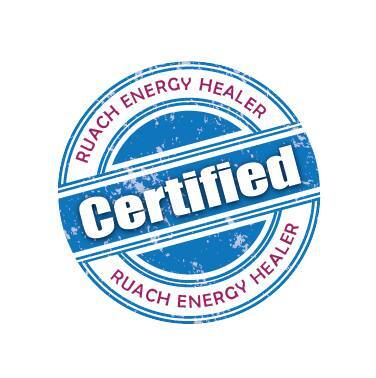 As a Grandmaster Instructor, I teach all students to integrate various energyworking modalities, including the Ruach Healing Method™, Angelic Healing Touch and crystalwork knowledge as secondary to their mastery of Reiki healing skills. Instructions: Gasshoshite, kokoro ni nenji kuchi ni tonayo. BE GRATEFUL, FOR THIS IS SPIRITUAL AWAKENING. KEEP GOOD INTENTIONS IN YOUR HEART. Want to learn how to be a competent and ethically responsible energyworking Healer? Interested in learning original knowledge and wielding it with authority, rather than wasting money on the quickie internet shortcut stuff that gives you no real-time training and no guarantee the knowledge you’re skimming for free is authentic or will work for you? Contact us today! Living and working froma higher level of vibration allows you to connect and create with the Universe. At the low levels of vibration all effort is directed to the physical. Our actions are focused on only what we can see and touch. But, as we learn to remove blockages and negativity, we begin to raise our awareness of possibilities. This can lead to tremendous power. Today is a new day, literally, with a New Moon and solar eclipse signalling an energy vibe of hope, peace and renewal, and the optimism of a fresh start. Trust in the constantly changing nature of the universe. After the darkest hour comes the dawn of a new day. You are on a healing path; nurture both physical and spiritual aspects of life. Visualize your ideal future as you go through your daily mundane tasks. Perhaps you might need time alone in calmness and stillness to heal completely … so if another is in need of healing, approach that other’s need on an optimistic and gently nurturing note. In a creative venture, this card could be a sign of success. Lastly, The Star also indicates astrology and other divinatory arts may be able to bring you messages from the Universe. Pay attention.